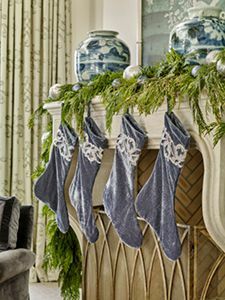 Making your home festive for the holidays should be an enjoyable task, but it can be a challenge to make it tasteful and fit into your home’s interior style. 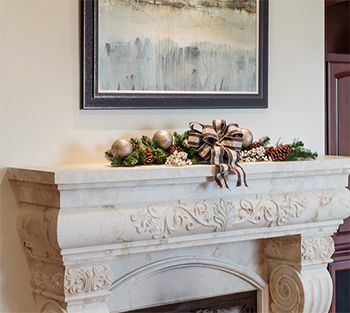 Here are some tips to ensure a festive yet tasteful decorating theme for your holiday home. 1. 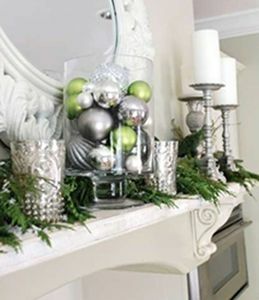 Bring in a sense of mountain fir trees by using greenery on your mantles, bannisters and alcoves. 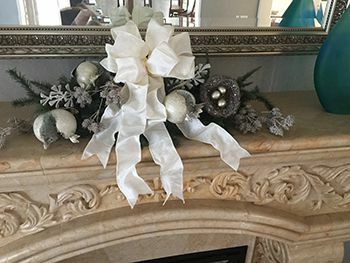 Weave in pine cones, sprigs of faux berries, ornaments and bows. Choose organic items that look as if they might have been found in the woods. 2. Make your holiday décor match the color, theme and style of the room. 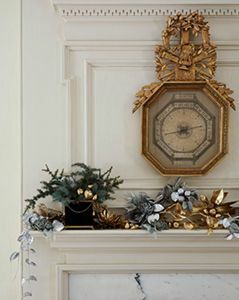 For example, if the room is transitional style in warm taupes and blues, use those colors in your holiday decorating. Extend the color scheme to mantles, bannisters and the Christmas tree. 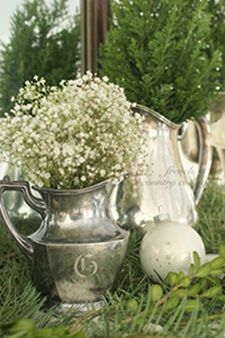 This helps make all your decorations cohesive and appear as if they were custom-designed for your home. 3. For mantles, offset symmetry is the most balanced and pleasing to the eye. This means having mostly symmetry except a few items, such as ornaments that are added in odd numbers to create interest. 4. In choosing ribbons for bows, find complementary colors and textures that work well with the fabrics in the room. For example, striped ribbon complements striped furniture fabric. 5. 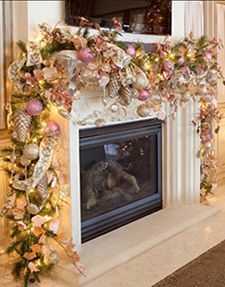 Start your holiday decorating before Thanksgiving by doing the greenery on mantles and throughout living areas. 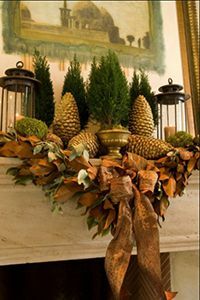 Incorporate fall colors to allow the décor to remain throughout the holidays. If you’re buying a fresh tree, wait to purchase it until closer to Christmas so it will stay fresh and beautiful. 6. Consider placing your Christmas tree in a room other than the living room. 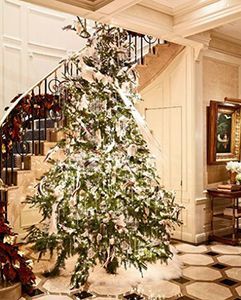 Having the tree in your entry makes a grand entrance for your guests and leaves more room in the living areas. 7. 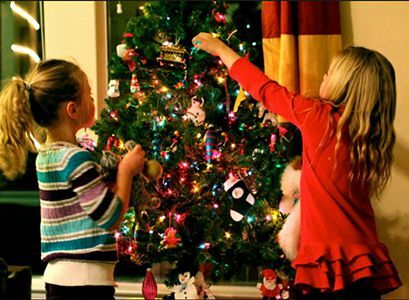 Have a “children’s tree” in your family room with nostalgic and collected ornaments that don’t fit within the theme of your “grand tree”. This could also be a tabletop tree to save space. 8. 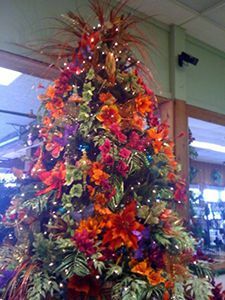 Consider a themed tree to share your love of something special, such as a favorite color, the beach, pets, favorite cities (Paris, Honolulu…), and personal hobbies such as golf. 9. 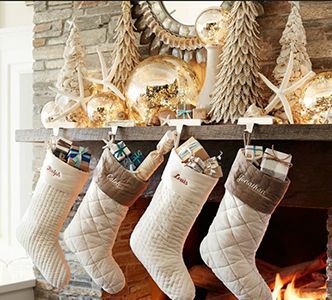 Curate beautiful items for your holiday decorating. Sourcing materials from unusual places delivers a “collected” look and lets you make it your own. 10. Freshen up your holiday décor each year with a few new ornaments or decorations. 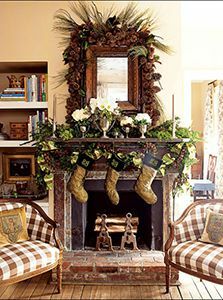 Elisabeth “Beth” Foist Whitlinger, ASID, CID, regularly decorates her clients’ homes for the holidays. She is an interior designer driven by a passion for architecture, art and beautiful interiors. Beth has traveled throughout the world, always focusing on architectural sites and historical buildings. Her passion for structure and simple interpretation of form translates into her designs. Beth’s interiors have a timeless and classic elegance that enhances the architecture of the space.